SWEED is a top provider of recycling and material handling equipment, offering a wide rang of products including scrap choppers and separation systems. SWEED’s goal is to increase its customers’ efficiency with top-of-the-line products. However, SWEED faced a tough ERP integration and needed more visibility and reporting in the sales cycle. 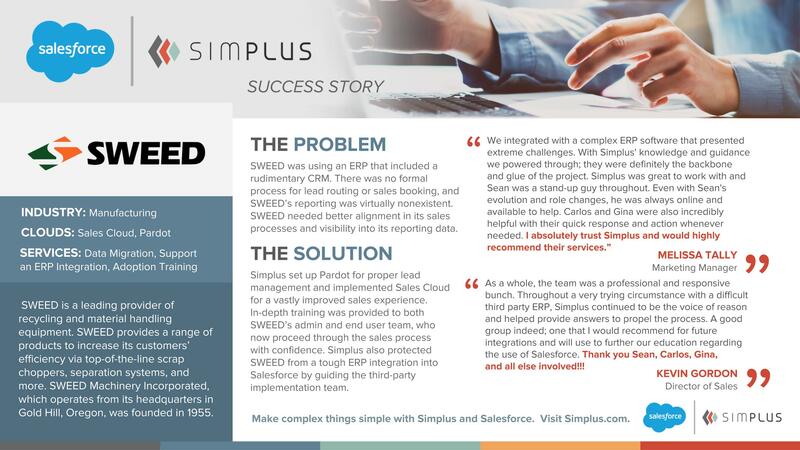 Simplus helped set this up and guide SWEED through implementation. We implemented Pardot for SWEED to manage leads properly and also integrated with Sales Cloud for further improved selling. Additionally, the Simplus team trained SWEED extensively on the new systems so both the admin and end user team can navigate the new processes with ease. 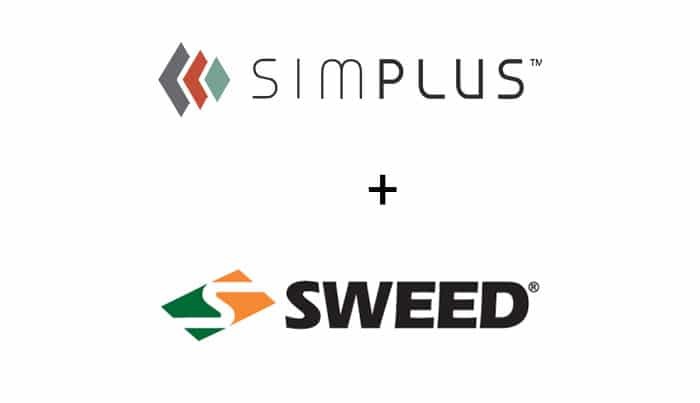 Finally, Simplus also guided SWEED through its ERP integration by working with the third-party vendor to make sure everything met SWEED’s needs.